Today on the blog I am pairing set of customized black straight pant with a golden kurta. The pant is by the brand SAFFRON by Varsha Garg. She is a very talented Fashion Designer and her designing skills are commendable. The choice of colors, patterns, designs ,fabrics she chooses are impressive. After seeing her bridal collection designed by her, I thought of ordering one customized ethnic pant in semi-silk. She created it with perfection. I received my order within few days and I loved the quality of the fabric and the fit was perfect! I am looking forward to order some more designer wear from this amazing brand and so cute and polite designer. Having gained in depth knowledge about fabrics, machines, industry in-out,Talented Fashion Designer Varsha Garg has launched her own apparel identity BRAND: "SAFFRON'. 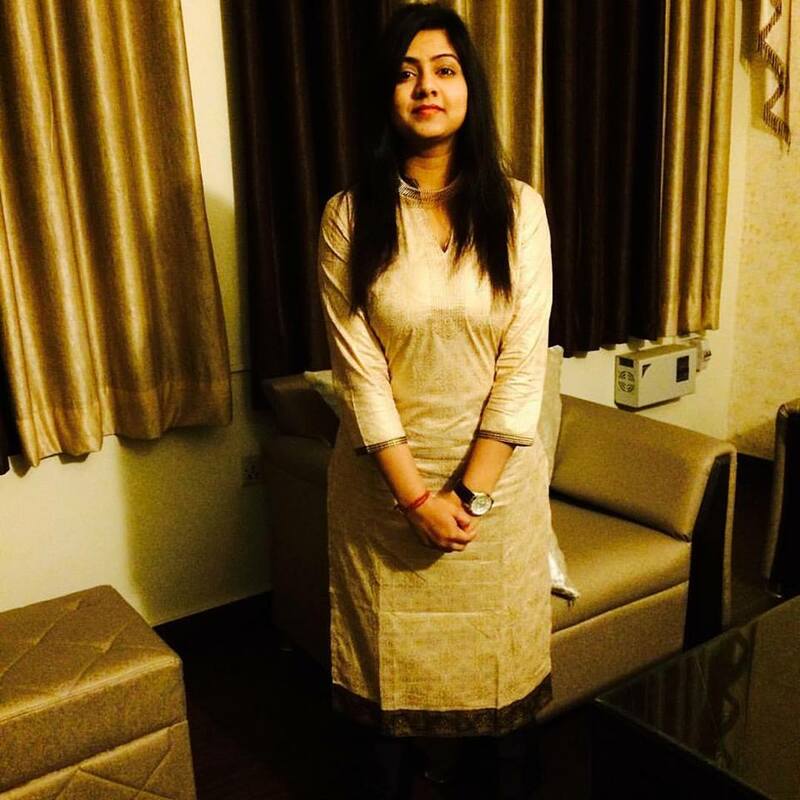 Being born in a family that have been in the textile and manufacturing industry, Varsha has always had the correct exposure and always wanted to pursue designing as a career. Her collection is available on Vintage Desi. She even have her own showroom at ezebee.com here- Brand: Saffron at ezebee.com where you can buy suits, sarees and lehangas designed by her. As I mentioned in my earlier posts, at ezebee.com anyone can open free showroom and sell stuff worldwide. Loved your post.Thanks for such a lovely description of the brand. I especially liked your pairing of the kurta .Goes well!! I like all pic, hair extension is the best way make your beautiful style.